Film Music Schools – Who Needs a Master’s Degree? DO I NEED TO STUDY FILM SCORING TO BECOME A FILM COMPOSER? The majority of A-list composers got to their position in the industry either with just a straight music degree, or no formal training at all. You can go all the way to the top without any training. You could when they started out and you still can today. However, most of them entered the industry in a very different era when competition for jobs was not as intense. Today we are in a hyper-competitive market and there are so many people pitching that it is easy for very talented people to get lost in the noise. That’s where good film music schools can help. • to give you a deep insight and knowledge of the medium in which you are hoping to work, whether that’s film, TV, games or whatever. That top one is the most important. A master’s course should help you develop as a composer so that you can stand out from the crowd. It gives you challenging projects to work on where you can take risks, try things out and where the consequences of failure aren’t being fired or not getting paid. This obviously relies on you to take the initiative and push yourself, moving outside your comfort zone. Passing the course with safe, familiar music is not getting the best out of the course or yourself. Brian Eno said “craft enables you to be successful when you’re not inspired.” He’s right. When deadlines look unforgivingly imminent, you need technique to fall back on to get you through the gig. Craft or technique are things that you can learn and will help you execute the work you do get efficiently, which means you retain clients and they will give you more work so this is definitely a good thing. This is both compositional technique, orchestration and scoring to picture. All the nuts and bolts of being a film composer that most producers and directors take for granted. There’s nothing here you can’t learn by yourself, but you will learn it more thoroughly and a lot quicker on an accredited film scoring course. If you want to be a film composer you must be passionate about film, not just film scores. Listening all day long to the Batman Begins sound track or the scores of John Williams doesn’t count. You need to share a passion for the medium you are working in. That’s what your clients will expect. So if you want to work in games, be passionate about games. Wildlife films, animation, trailers – it’s all the same. You have to be passionate and committed to the industry sector or genre. This raises another point. Good courses will let you hear from real directors and producers. Many courses are happy to rely on talks from professional composers but this is not the same. You need to hear directly from the people you are going to be working for and not hearing that second hand from a famous working composer. Our courses are packed with interviews with real-life directors and producers from all areas of the media. We believe this is essential to help composers succeed in their careers. So what courses are out there? The vast majority of accredited courses in film scoring are postgraduate degrees, normally an MA or occasionally an MFA (more on this in a moment). There are universities all over the world who provide these programs but, as of the time of writing, we’re the only school providing online master’s degrees in film scoring and orchestration. The (MA or occasionally MSc) courses normally run over 1 or 2 years and will include modules on composing for film and the moving image, film music history and analysis and copyright and music business. There are often optional or elective modules to develop specific software skills like Logic, Cubase, Sibelius and Finale. Most masters’ courses conclude with a dissertation, which is a major piece of work or portfolio project normally lasting several months. The MFA or Master of Fine Art, is a longer degree which started life in the United States. It is, or at least was, considered a “terminal degree”, which means it is accepted as a teaching qualification for those wishing to work in US higher education. There are now PhD’s in creative practical research but the MFA is still widely accepted. That’s not to say any MFA will get you a job in a university and their individual requirements vary considerably. There are some great schools out there run by committed and talented media composers. There are also some schools that are just along for the ride, so you need to look carefully to work out which is which. Some of the more prominent schools offering postgraduate degrees include UCLA in Los Angeles and Berklee College of Music in Valencia, Spain. UCLA USC (University of Southern California) offers a Postgraduate certificate (around $60,000 for the one year course including living costs). In the UK, the RCM (Royal College of Music) is a two year course which costs £19,000 for UK students and £42,000 for non-EU students (not including living costs in London). The NFTS (National Film and Television School) out at Beaconsfield also offers a 2 year master’s programs. The NFTS course fees and estimated living costs come to £42,600 for UK and EU students and £70,000 for non-EU students. There are very few undergraduate degrees which deal specifically with film scoring as it is normally just one module in the course. Berklee is an exception and include a lot of film scoring in their BMus degree but at over $120,000, according to Berklee’s own estimate, this is out of reach for most students. Like many US universities, they have a drop out rate of around 40% so almost half the students don’t graduate with a degree. ThinkSpace master’s degrees are in their first year and offer what we believe is exceptional value costing from $11,055. There are no additional living costs as no relocation is required and you can even study part-time and keep working. *Course costs taken from provider’s website. Cost of living is an estimate based on current housing prices and general living costs. ** Cost of living not taken into account, as the course is provided online. Most schools offer some form of scholarship program but public funding for postgraduate study is fairly limited in most countries. The US has a system of government backed loans, but they are just that, loans with interest which you are required to start repaying normally 6 months after you complete your course. In the UK Career Development Loans are similar and available to all UK students including ours. However we offer an interest free payment plan to spread the cost of the course in regular monthly installments throughout your course so you will graduate, debt free. A quick Google will reveal a bewildering choice and you may well be tempted to sign up for the most famous school as it is probably the best. You need to look a little deeper as the most famous also can be eye wateringly expensive and while you are in part paying for the name and reputation, how much is that going to matter when you pitch for film scoring jobs? It’s not like going out and applying for a regular job where your school’s reputation carries a lot of weight. Film directors and producers won’t care where you went, only on what you know and what you can do. The only exception to this is if you want to become a composer’s assistant. These jobs are realistically for people 25 or under, who have family financial support to pay the rent while they are interning and who live in a major production center like Los Angeles or London. Only a handful of paid jobs come up every year and it normally means working for very little for 5 years + before you stand a reasonable chance of making it on your own. The life of an assistant is tough, often poorly paid and normally involves making a lot of tea and sorting technical things out. Rarely does it involve scoring. It can be a great way in but it takes a certain temperament and attitude to make it work. The rewards can be great – look at Lorne Balfe, Hans Zimmer’s assistant (and briefly mine!) Bear McCreary and many others. Actually Hans Zimmer himself started off as an assistant. But these are the exceptions not the rule and I would argue all these composers would have made it on their own because they are all obviously outstanding talented. I have always recruited my assistants from MA programs and I know a lot of other composers do the same. So how do you go about choosing a course? Well ask yourself first are you able to relocate to LA or London to study for two years? If not what courses are offered closer to home? How about studying online or low residence? That way you can combine a day job with study and avoid having to move to another city. The most important aspect of any course is the faculty, who’s teaching you. You should be looking for tutors with significant recent or, better still, current experience of the film music industry. Go to imdb and put in their name. If they’ve done any professional work of note, it should be there. You can find imdb links to most of our tutors here. Industry experience should be pretty recent as well as the industry is evolving at a break-neck pace. That’s not to say older, retired composers haven’t got great skills to pass on. They absolutely do, but someone on the faculty needs to have their finger on the pulse of the industry otherwise the course runs the risk of failing to prepare you for the world as it actually is, not as it was ten years ago. 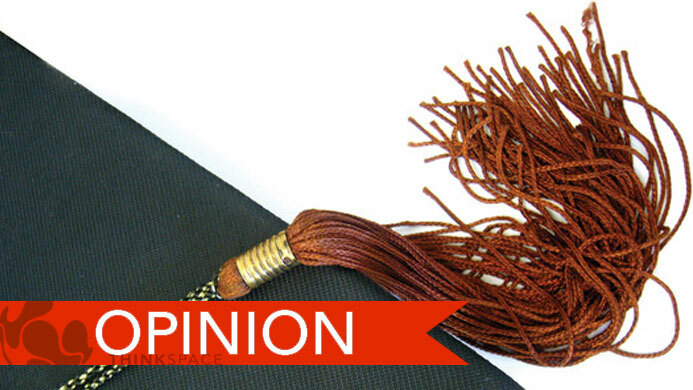 If the faculty doesn’t seem to have any credits – ask for them. If the people who are teaching you haven’t actually done what you are trying to do, what are you going to learn? The next most important question is the syllabus. What does it cover? Avoid courses that deal exclusively with film music. Although it’s the target and dream for an awful lot of composers, it is also massively over-subscribed. The vast majority of professional composers earn their living working elsewhere, in television scoring documentaries, animation, commercials, trailers, games, the list goes on and on. Focusing just on film scoring is an almost certain road to unemployment, frustration and disillusionment. Facilities probably come next. A lot of courses, including ours, offer the chance to work with live orchestra. Sometimes, like the RCM, this is a student orchestra. Others, like our students, and those of USC and UCLA, hear their music performed by professional session players in top studios in London or Hollywood. Working with university workstations is not that great. You are going to need your own gear sooner rather than later and learning to score film and television on your own equipment is a much better preparation for life on the outside as a working composer. Many courses like that at the NFTS and USC offer students the chance to collaborate with film students. Many life long bonds have been forged this way. 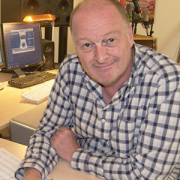 Julian Nott started working with Nick Park of Wallace and Gromit fame at the NFTS. However these partnerships are increasingly rare and this shouldn’t be a major part of your reasoning when choosing a school. The vast majority of students do not leave college as part of a ready-made professional film making team. Also, you may well be teamed up with a filmmaker who just doesn’t want music, or asks for music which you don’t particularly like. This is fairly common and a source of significant problems. The most valuable thing a film music school can do for you is show you how to find your own professional friends, develop your own network after college and to help your produce a really effective, well-crafted demo reel to show people what you are made of. Do you need a first degree to study a master’s in film scoring? Usually but not always. A lot of universities, including the University of Chichester with whom we are accredited, allow entry through RPL, or recognition of prior learning. This allows established professionals to enter the master’s program without a bachelor’s degree. The answer is, predictably, it depends on the course and the school. As you will now have realized, it also depends a lot on who’s doing the teaching, the course syllabus, and what contacts there are with the professional industry. But it also depends on your attitude and the attitude of you fellow students as learning is a two way street and the more open and proactive you are the more you will get out of it. You need to be positive and proactive. Postgraduate courses expect you to make the running and will not spoon-feed you. You need to be open to advice and not defensive of your established ways of working. If you pick the right course and approach it with the right attitude you will stand an infinitely better chance of finding work than you would on your own. Master’s courses should select students who they believe have the potential to succeed professionally. They will help you develop a unique sound of your own, your own voice and give you the technical skills and the intellectual insights to make a strong and rewarding career as a professional media composer.